But then, you know, we were like, what happened? Mistry disappeared from public view for a while, and we’ve all been asking ourselves – so what happened to the guy? What happened to Sixth Sense? Let’s start first with the tech. 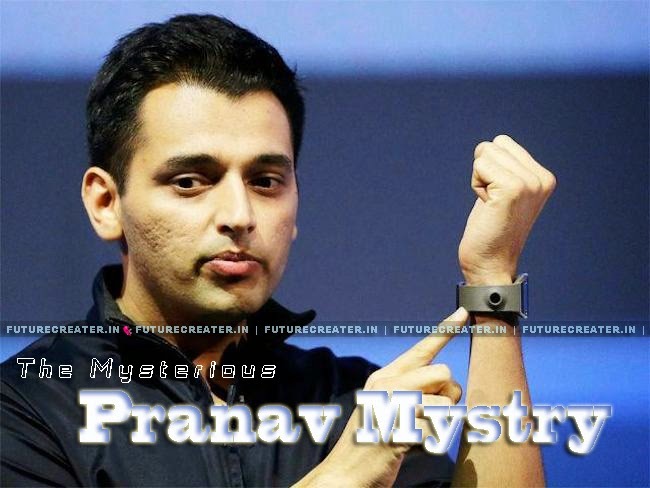 SixthSense today exists as project under Pranav Mistry’s name at his personal website. The simple looking home page just has text in it, but don’t get put off – pictures and videos are a click away. But most importantly – the hardware and software assembly instructions are open source. The link is at the bottom of the page. Doesn’t seem like they’ve updated the page much, but these guys assembled their own, so I suppose, so can you! This author meanwhile did not see any news of commercializing SixthSense, which he/she would be happy to be told about. Meanwhile, Pranav Mistry’s moved on to other things. He’s currently heading the Think Tank Team and is the Director of Research of Samsung, where he’s busy developing the latest in Samsung’s arsenal of cutting edge technologies. That’s a pretty good job, I would think. Couple of months ago, Mistry unveiled the new Samsung Gear ‘smartwatch’, which can call, message, take pictures, play music and run a host of other apps right from your wrist. By the way, Samsung overtook Apple as the world’s largest seller of smartphones last year. I feel pretty certain the tech has something to do with that. If you’re interested in the work Mistry’s been doing apart from the viral Sixth Sense project, have a look at his website. 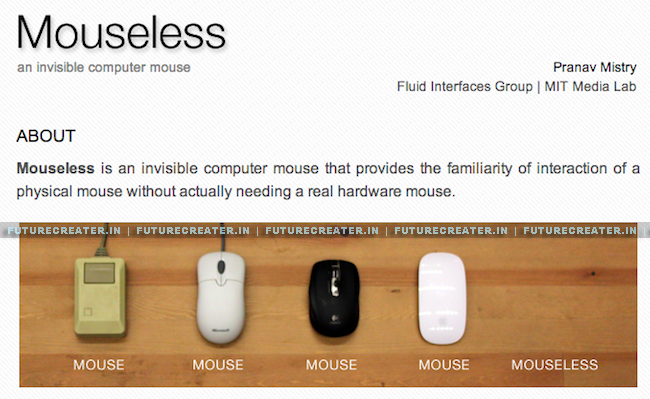 Some of his projects are incredibly cool – my personal favorite is the Mouseless project, which basically just takes a normal mouse and makes it disappear. People are busy designing the most ergonomic shape and size for a mouse that can fit various hand sizes, and Mistry just goes and eliminates the physical body. I also enjoyed the idea of inktuitive, which allows you to draw as if on paper, but gets your computer to pick up what you’re drawing as digital signals. Here’s the kicker – it also liberates you from 2D drawing, because the sensors can detect in 3D space. To close, here’s Mr. Mistry describing himself on his website. Read this out loud for maximum comic effect. What a simple, wonderful guy! I, myself am pranav|mistry. ‘zombie’ is my nick name. My father Kirti Mistry is an architect & a technocrat. My loving mummy Nayana cares us all. I have two sisters, ‘Sweta’ & ‘Jigna’. I have a nephew named ‘Jini’. I love my family a lot. I have lots of friends, too. My family is big. I have 5 ‘masis’ & 3 ‘mamas’ & 5 ‘kakas’ & 2 ‘fois’ & … &… & …meet them all and my friends in my photo gallery.